Last month, more than five million French television viewers tuned into a programme on France 2 to elect their favourite village in their home country. The chosen village – Eguisheim – is not of the classic French Provencal village that you might expect to be the winner of such a competition, but it is an exceedingly pretty town that is already amongst the official list of the Most Beautiful Villages of France and it is, perhaps, its more unusual Teutonic character that has won over so many French hearts. The town is in the department of Haut-Rhin in the region of Alsace. With just over 1,500 inhabitants, it seems to have a nice work-balance. It already has quite a few tourists passing through its narrow ancient cobblestone streets owing to the fact that it’s one of must-stop elements of the Alsatian Wine Route. 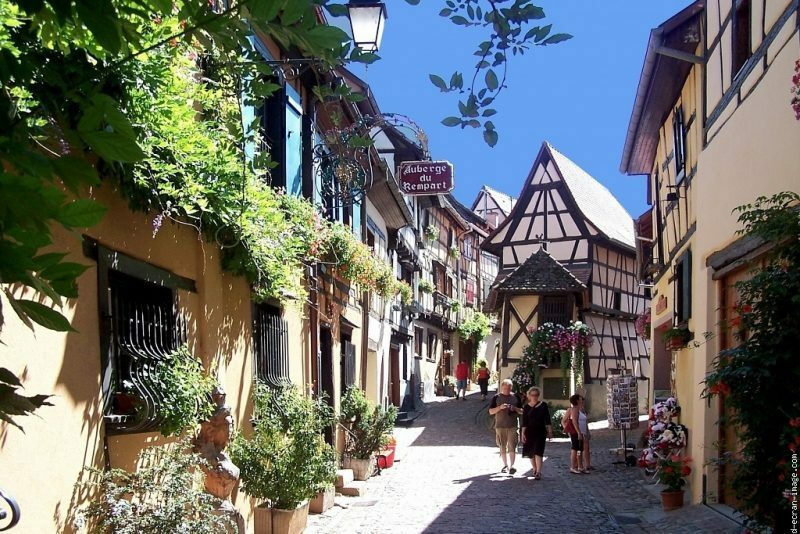 Birthplace of Pope Leo IX in 1409, Eguisheim is rich in architectural and historical heritage and it is expected that tourist numbers to the Alsation village will increase by 70% this year. Surely worth a minor detour on your French holiday this year? Next Next post: Tour de France Winner – Superman for a New Era or “Froomstrong” of the Future?